The UK’s decision to vote for Brexit has been viewed by many observers as proof that the European Union suffers from a deep crisis of legitimacy. As Matt Wood highlights, this crisis is often conceived of in identity terms, with a large number of EU citizens no longer feeling ‘European’ or identifying with the goals of European integration. However, he argues that while public identification with Europe is important, the roots of the EU’s legitimacy crisis lie within the EU institutions and their perceived distance from citizens. 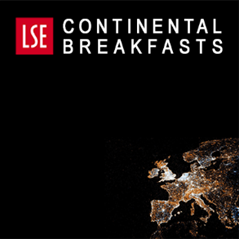 The debate on Europe’s legitimacy since Britain’s Brexit vote has tended to focus on issues of identity and meaning. Why did the British public not feel ‘European’ enough to remain? How could campaigners fail so spectacularly to communicate the benefits of single market membership? Did we simply take the Union for granted and allow the rise of far-right xenophobic populism to take hold? The debate takes on an almost hysterical character. How could the British be so selfish as to put Europe’s stability under threat at a time of heightened political and security threats? Brexit is characterised as an act of ‘self-harm’ or ‘political malfeasance’ with strong emotional connotations for the ‘heart and soul’ of the European project. While questions of identity and nationalism are clearly important to explaining Brexit and the EU’s wider legitimacy ‘crisis’, at the end of June, scholars from across the continent met in Berlin to discuss the issue from a different angle. We aimed to study how the EU’s commitment to different forms of legitimacy has changed over time, and to show the institutional dynamics that support or threaten democracy at the EU level. These, we believe, are at the root of the current legitimacy ‘crisis’, as well as showcasing some of the Union’s strengths and future areas for development. On the one hand, the EU has surprisingly high levels of transparency by international standards. Publicly available websites track the range of meetings European Commissioners have with interest groups, corporate representatives and media organisations, providing a very clear and accessible picture of all the contacts of Commissioners, MEPs and other representatives at the EU level. For such a complex range of institutions, this is an impressive commitment to accessibility, something the UK only recently followed in 2010. EU institutions are also remarkably accountable compared to UK government departments. An unwieldy system of committees (‘comitology’ in EU-speak) checks and double checks the Commission’s different agencies, departments and projects run strictly according to standards of good governance, with tight controls on spending and requirements for constantly reporting budgetary minutiae. The EU even provides funding for interest groups to scrutinise the Commission’s activities and represent usually marginalised communities, for example through its ‘umbrella’ interest groups who are given a say directly on Commission panels. However, when we look at how open and inclusive EU bodies are, there are a lot more problems. EU ‘umbrella’ groups for interest groups around the continent tend to be populated by a small clique of well-resourced and active organisations who can navigate the complex accountability process. When the Parliament calls for evidence from ‘civil society’, these same groups tend to focus. A similar ‘insular’ game tends to evolve where scientific evidence is concerned – similar universities, think tanks and corporations tend to present evidence, and get invited again to present. To some extent this ends up looking a bit like a vicious circle where the same people tend to get represented. Despite making efforts to engage civil society – often more so than national governments – the Parliament and Commission end up looking distant and cloistered. This is an ironic state of affairs. The Union has increasingly opened up since the early 2000s to appear, very self-consciously, an accountable and transparent set of institutions. Arguably however, by engaging in this agenda of accountability and transparency, the EU set itself on a course to become so complex and unwieldy that it paradoxically increased its democratic deficit and alienated the public even more. Perhaps this made Brexit more likely. At the very least, it’s difficult to see the accountability agenda as helping the Union in this regard. Nevertheless, as recent months have shown, the Union remains strong in the face of legitimacy challenges. Emmanuel Macron’s crushing election victory and his victory speech, sound-tracked by the Ode to Joy, symbolised this most of all. The other side of the story is that the Union’s work to improve connections with civil society seems to have reaped some rewards. As Kathleen McNamara notes in her book The Politics of Everyday Europe, we’ve seen the EU become increasingly embedded in Europe’s subconscious since the turn of the century. From the labels on food and medicines to the EU passport and the euro itself, we’ve seen EU institutions increase their ‘reach’ and ‘visibility’ in the public sphere. Since Britain’s vote to leave, support for the EU has grown as Europeans seem to be more wary of losing the freedoms they’ve gained since the Union was formed. The EU’s democracy is hardly perfect. Indeed, efforts to improve it in recent years through a transparency and accountability agenda have ended up making the EU seem increasingly impenetrable and inaccessible. This produced the complex administrative and legal context in which the European Court of Justice became increasingly prominent as an arbiter of European matters, and its growing prominence exposed it as a target of Brexiteer rage. And yet, the growing everyday influence of EU institutions has also meant that, once they came under threat from the Brexit vote, the risk of losing them perhaps led Europe to rally to their aid. Macron’s election, and Geert Wilders’ failure in the Dutch election are evidence of this. The politics of Europe’s legitimacy crisis is complex and multifaceted, and at our workshop in Berlin we aimed to pick apart this complexity and see where its strengths and weaknesses lie. Our aim was to get beyond the mainstream media debate about identity, with its saccharine depictions of young, photogenic women shedding quiet tears down Union flag-painted faces. While public identification may be crucial to understanding the electoral dynamics of this ‘crisis’, its roots lie in the institutions themselves; how they work, and the support and contention they create. 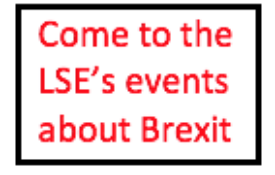 This article first appeared on EUROPP – European Politics and Policy, and it gives the views of the author, and not the position of LSE Brexit nor of the London School of Economics. Matt Wood is a Lecturer and Deputy Director of the Sir Bernard Crick Centre for the Public Understanding of Politics at the University of Sheffield. His is an ESRC Future Research Leaders Fellow, focusing on stakeholder engagement and legitimacy in the EU.